Anyone who narrows this cover back to 'bikini clad maidens and squirting fountain' should be marooned on an island with only a goat for company. In colour, composition and ancient-awesomeness it is truly epic stuff! THE FADE OUT #1 The first project from their groundbreaking five-year deal at Image will have Ed and Sean fans, old and new, at the edge of their seats. GENIUS #1 (of 5 - weekly in August) The Winner of Top Cow’s Pilot Season makes its return to print! What if the greatest military mind of our generation was born to a people who are already supremely conditioned to wage war, who know nothing but violence since birth, and must continually adapt to new predators in order to survive? What do you think? 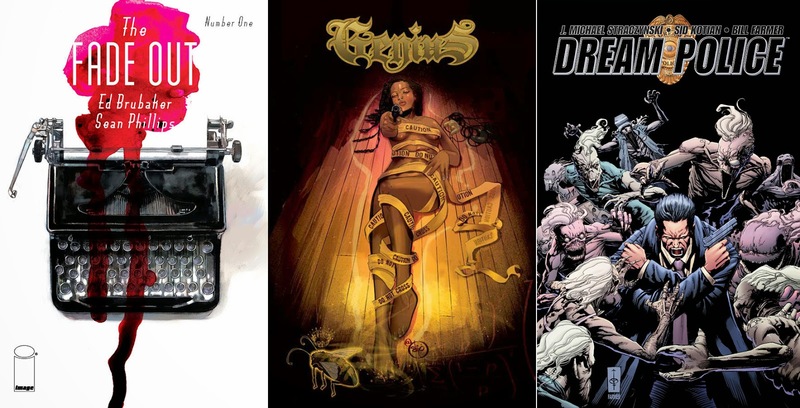 For the full list of Image Comics August 2014 solicitations, click the jump. I've flipped through the Sidekick one. It's pretty dark, but not too to bad. 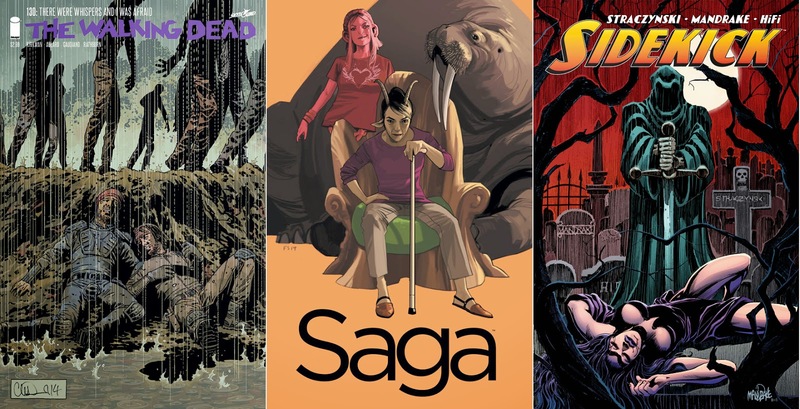 Saga's solid as ever, and the Fade Out and Low look pretty provocative and interesting. That TOCCHINI guy is wicked!